In 1960, under the guidance of Kalaguru Smt. 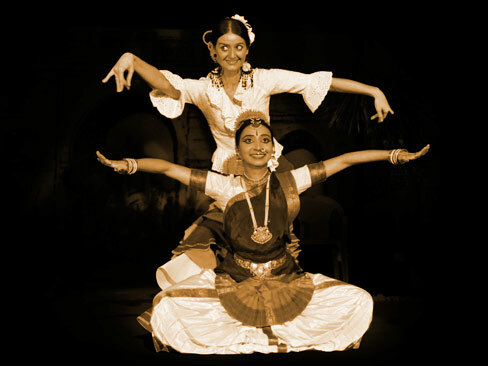 Elakshiben Thakore Nrityabharti’s first performance abroad was at Ceylon. In 1969, Nrityabharti gave its performance in East-African countries namely Kenya, Uganda and Tanzania. From 1971 till 1983, Nrityabharti through frequent visits spreaded its roots at Cleveland and Ohio in U.S.A and Canada. From 1984 to 1990, every year Nrityabharti was invited at Pennsylvania, California, New York, New Jercy and Canada. Under the guidance of Chandan Thakore once again Nrityabharti spreaded classical dance in innovative form at European countries namely Graz-Austria, Munich and Calw-Germany in 2007. SPECIAL PERFORMANCE: Performed twice on the 130th birth anniversary of the Nobel Prize Winner German author Hermann Hesse in the hall exactly opposite to his house in Germany. In 2009, Nrityabharti gave its performance at Singapore & Malaysia under the auspices of Chandan Thakore. 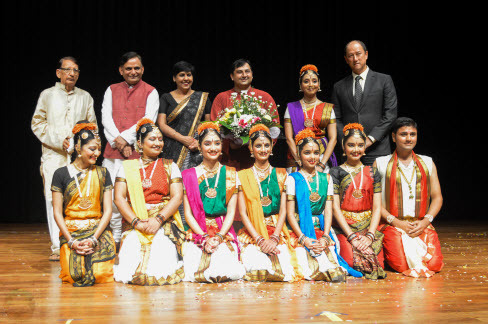 Under the direction of Chandan Thakore, Nrityabharti’s Performance at OTEMON UNIVERSITY – OSAKA, JAPAN in 2010. Conduction of Dance Department in Heritage Summer Camp at STROUGHSBURG, P.A. in U.S.A. – From 1984 to 1990 every year. AUSTRIA in EUROPE – Since 2007 every year. Nrityabharti has spreaded its roots in U.S.A., Canada, Africa, Sri Lanka, Ceylon at academic level by training around 500 students in classical dance Bharatnatyam. Nrityabharti has at its credit the Master Training Classes in Bharatnatyam at several abroad institutions namely at East Africa, Srilanka, USA, Austria and Germany. Nrityabharti has been constantly creating a huge audience of appreciators for Bharatnatyam in abroad countries due to which today more than dozens of its students have started their own institution of dance under the aegis of Nrityabharti and many others have taken up Bharatnatyam as their career by way of employment. Nrityabharti has extended its horizons to International levels and numerous students from East Africa and European Countries have obtained training under the Institute for their First Solo performance – “Arangetram”, which has been presented successfully and highly appreciated by the audience.